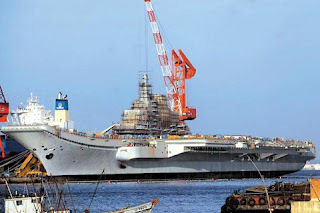 "Han Defense Review" magazine recently revealed that the first shipmade in China, Ukraine, the aircraft carrier construction process provided extensive technical assistance, particularly in thepower plant, but also experts in Ukraine also participated in the procurement of China in 1999, "Varyag "aircraft modification work. 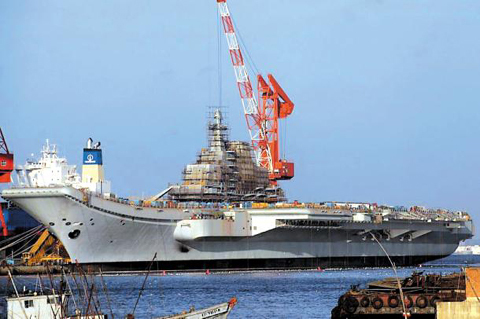 "Han and Defense Review," pointed out that China "Varyag" modification has been completed, the assembly of power units developed in Ukraine. "Han and Defense Review," edited by Andrei Chang said that Ukraine has also helped China built in Harbin, a boiler and turbine manufacturing plant, production of military boilers, turbines, steam equipment, used to make use of Chinese-made aircraft carrier catapult system, landing block device and the like Russia, "Admiral Kuznetsov" carrier aircraft equipment and other systems. In addition, China has built two sets of carrier-based aviation pilot ground training facilities.